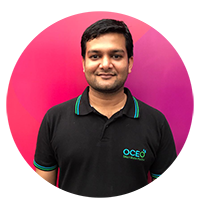 We talk to Vikram Gulecha, Co-founder, OCEO Water about the coming water crisis, how technology can offer solutions and about startups benefiting from carbon credits. Tell us about Oceo Water. What is the innovation? OCEO is an IoT enabled Smart Water Purifier is designed to meet growing needs for safe drinking water. OCEO is a first of its kind IoT enabled smart water purifier that gives you healthy water right in your home without having to purchase the device or pay maintenance fee. Now you only pay for the water purified from the machine. We call it as Water Purification as a Service (WAAS). OCEO integrated real time monitoring platform allows us to perform predictive maintenance of the devices and ensure safety in every water drop filtered from the device. Our winning solution OCEO emerged as the winner of the India-Israel Innovation Challenge for Innovative and affordable potable drinking water solution and received the award from Honorable Prime Minister of India – Shri Narendra Modi & Prime Minister of Israel – Mr. Benjamin Netanyahu. Our vision is to provide everyone access to the world’s safest drinking water anywhere they work, rest, and play. Water is one of the biggest issues we are facing currently, not just in India but globally. What are the opportunities for a tech startup like yours to make a difference in this sector? And, what are the major challenges? OCEO digital solutions have the power to optimize today’s operations and is redesigning the traditional water purification business model. Digital has the power to engage operational efficiencies, improve service levels and reliability, and map water quality data for social good. OCEO digital transformation is fundamentally shifting the entire water purification industry as we know it today. We are building a decentralised, proactively managed system and provide the backbone for smart city solutions. Our impact goes beyond the water access. We employ local people, generate monthly savings of up to 80%, reduce co2 emissions, generate new opportunities and promote sustainable development. Thus, making our users part of the solution, part of growing OCEO family. 3. You recently talked about the potential to gain carbon credits for OCEO water. How does that work? Can other startups benefit from carbon credits? With advisory from GIZ, a German development agency, we are building a business model to access carbon financing for our drinking water solutions. Because our water treatment process is less carbon intensive than boiling water, reuse of plastic in filters credits are earned. We are preparing paperwork according to the rules and requirements established by the Clean Development Mechanism (CDM) and Gold Standard, and will be involving independent auditors to double-check and verify objective measures of usage and carbon credits claimed for usage. Our water purification solutions financed via carbon credits will be take advantage of the rules of the CDM and the concept of suppressed demand. The Gold Standard, which certifies emissions reductions, and rule-making bodies associated with CDM governance, have agreed that water projects which improve water safety in contexts in which the alternative means of reducing contamination is boiling, and which can demonstrate that they would not have developed were it not for carbon finance, are eligible for carbon credits. 4. Have you risen any funding? How is the process different for a startup that is social impact oriented and also for profits? While starting a for-profit business is no easy task, starting a social enterprise is tougher still. Lack of funds, knowledge resources, manpower… the hurdles are endless. OCEO is a for-profit social enterprise on a high growth trajectory addressing a significant market need and hence stand a good chance of procuring funding. A growing number of social entrepreneurs and investors strongly believe that social enterprises with concept like OCEO can generate good financial returns for the investors. With a very well planned financial engineering, we recently initiated conversations with institutional and strategic investors. Apart from healthy financial gains, these deep pools of capital will make a significant contribution to creating a greener, healthier, and more equitable world. Good-old debt financing is another option considered by OCEO to propel growth and impact. 5. You were a part of the NASSCOM delegation to CEATAC 2018 in Tokyo. How was your experience and what will be your takeaway from the trip? CEATEC Japan has become the place for companies to showcase new, innovative and promising technology. It’s no secret the show is a place for brands hunting for the next big thing. Developed a mutually beneficial relationship with three Japanese companies to integrate each other’s products, creating a more valuable overall service for respective customers. Identified potential partners for market expansion in the South East Asian & African markets. And of course, by spending time with exhibitors selling products that are complementary to ours, we also had the chance to step outside the bubble of our own industry and learn how other businesses are positioning their solutions at the very same customer persona as we are targeting. Our product idea has received a tremendous response from the corporations during the business matching sessions due to our unique business model and strategic positioning. Our vision is to reach 10 million households in India over next 5 years and build a strong, decentralised system of providing clean water in India. The co-creation of the future water experience is at the forefront of all of our partnerships and we extend an invitation to relevant Japanese Corporations to join us in building a better world, drop by drop. Read about more interesting startups, follow our series The Pitch.